He has published papers on (1) the social epistemology of science, (2) Kuhn’s philosophy of science, (3) anti-realism and realism, (4) functional, selectionist, and invisible hand explanations of social phenomena, (5) collective intentionality, (6) collaborative research in science, and (7) age and scientific productivity. K. Brad Wray is a Professor in the Department of Philosophy at the State University of New York, Oswego. His research addresses issues in the philosophy of science and the philosophy of social science. 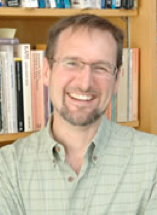 His papers have been published in a variety of journals, including Philosophy of Science, Synthese, Social Studies of Science, Scientometrics, and American Philosophical Quarterly. Brad was a visiting scholar at Cornell University in the Department of Science and Technology Studies in the Fall of 2008.